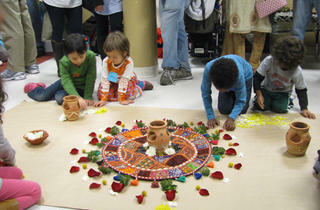 Tots explore the Rubin's galleries, checking out the painted mandalas, then learn how a sand mandala is created. 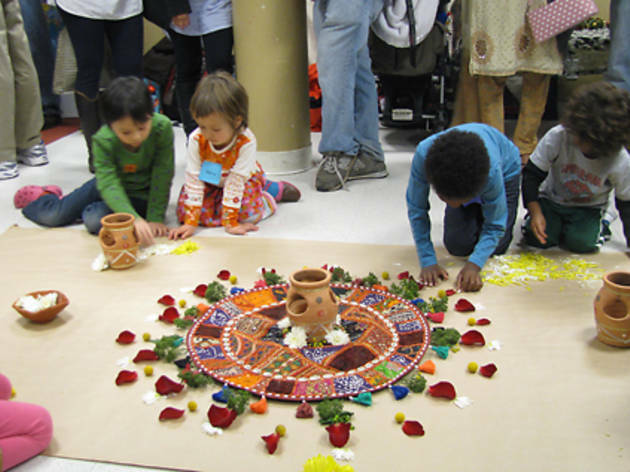 Then, kids will work together using sand to create a giant mandala design, and finish by sweeping up so the grains can be poured into the river. All ages.